At Beeston Free, we aim to work together to “Make disciples of all Nations” by reaching out to our community, building up those who believe and sending out every Christian here to use their God given gifts in His service. If you’re visiting for the first time the best place to start is probably at one of our Sunday meetings. You can find out where we are here. Every year lots of people join our church as they move to Nottingham to work or study, so we hope you will find a warm welcome with us, but it can be hard finding your feet in a church where there are so many people. If you’re asking ‘where do I start?’ look no further! 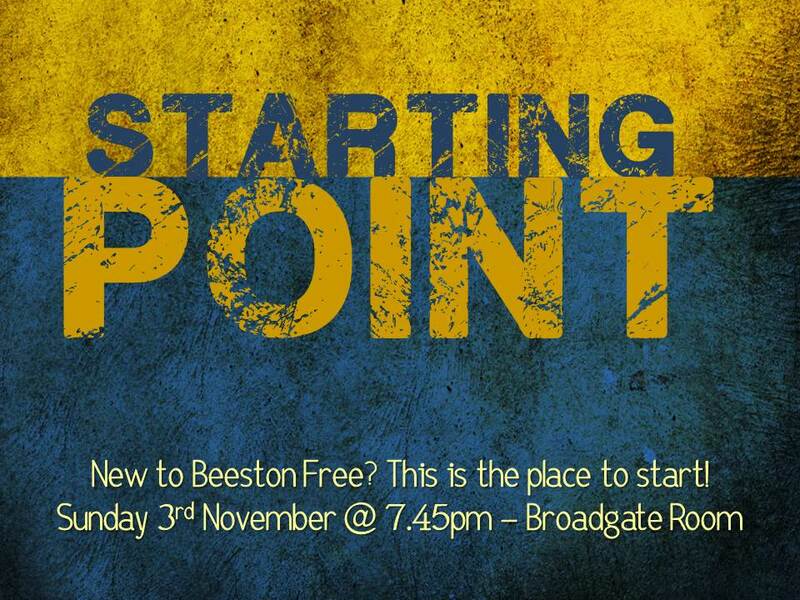 We encourage everyone who attends Beeston Free to join either a home group, Rooted (for students), or International Bible studies (for international students). If you would like to join one of our groups please use the contact form. Home groups meet in the homes of church members and provide the opportunity to grow in our faith as we study God’s word and share our lives together. Many of the homegroups enjoy spending time together socially, eating together and have weekends away to get to know God and each other better. 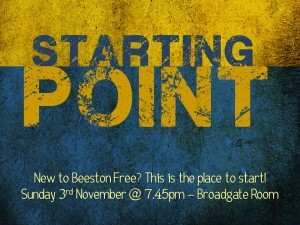 We also run regular events for those who are new to Beeston Free. These events are to enable those who are new to meet some of the church leaders and members, to find out about the vision and values of the church and to find out how they can get more involved. If you’ve got any questions or comments for us, we’d love to hear them. Use the contact form to get in touch!